Wrap-around brace for ankle stabilization during high-impact activities. Are you suffering from nagging ankle pain, stiff or sore joints, sprains or arthritis? With medial/lateral anatomical stays, yet comfortable and supportive, the DonJoy Advantage Stabilizing Ankle Brace can be worn during high-impact activities or every day to help you get the stabilization you need to help protect the ankle. Made with neoprene material and dual cross straps, you'll get the warmth and compression you need to keep joints warm while having the proper fit and support without restricting your range of motion. The Stabilizing Ankle Brace fits in most shoes and can wear on either on the left or right ankle. 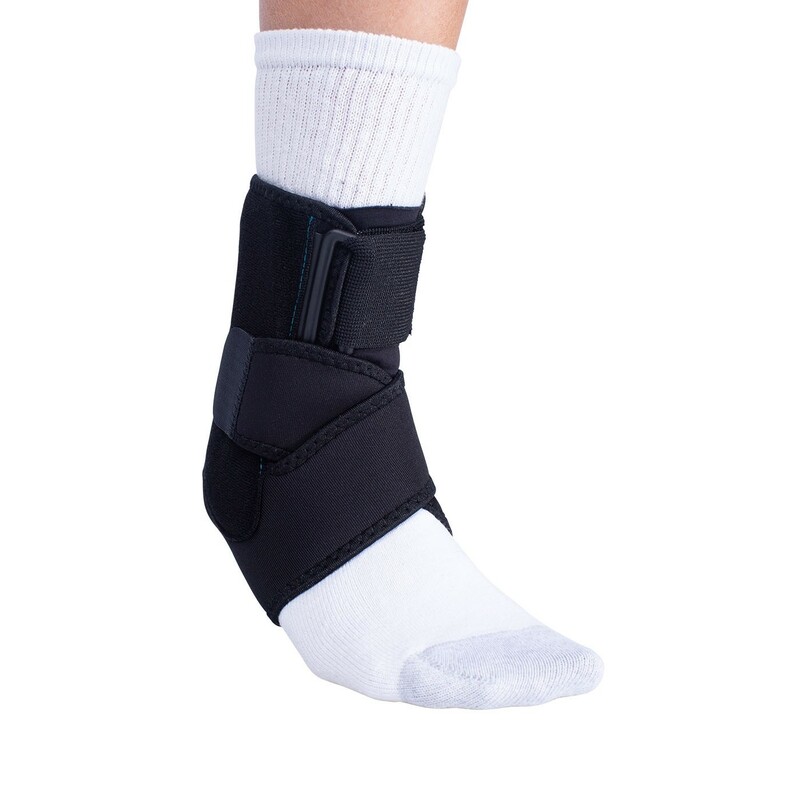 The DonJoy Advantage Stabilizing Ankle Brace is a lightweight, low-profile ankle support to stabilize and protect the ankle from mild to moderate ankle sprains and strains or arthritis. 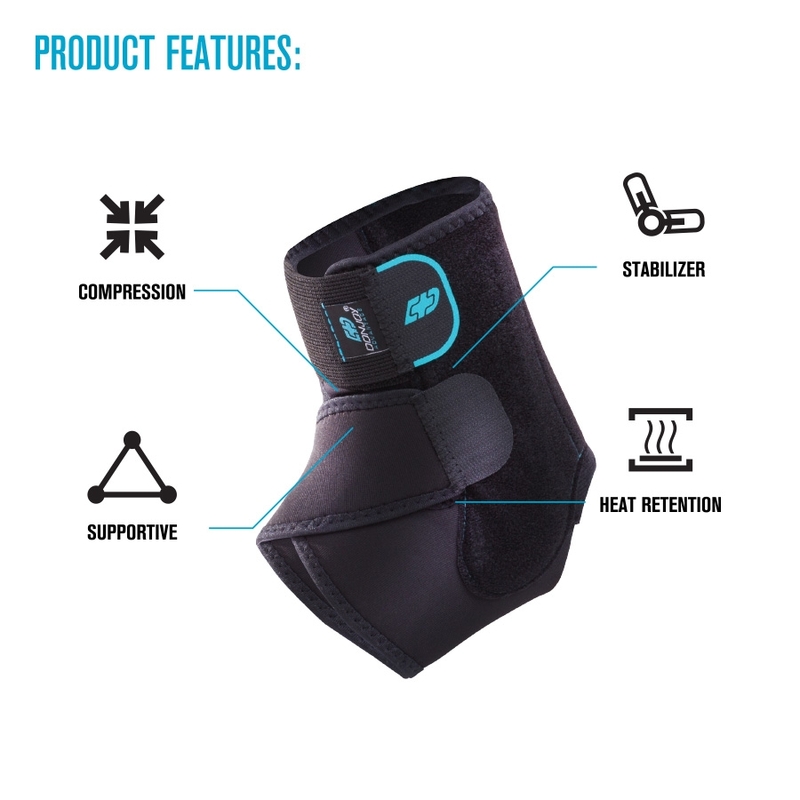 Constructed with neoprene fabric, this brace delivers warmth and compression to help reduce swelling and soreness. The anatomical stays provide medial and lateral support while the cross-straps distribute additional compression. Easy to put on, the Stabilizing Ankle Brace fits in most shoes and can be worn on the left or right ankle. DonJoy Advantage delivers innovative bracing and support solutions to help you live a healthy lifestyle and remain active in complete comfort. Step in and slide your foot back into the open heel, then wrap the brace around your ankle. Secure the cross straps. Adjust as needed. To clean, we recommend you hand wash in warm water with mild soap, rinse thoroughly and air dry. Inches 7.75 - 9.5" 9.5 - 11.5"
Size is based on the ankle circumference. Measure just above the ankle bone. Pros: Holds well. Stabilized his right ankle which constantly tries to curl out after stroke. Cons: I wish it had better Velcro like shoes have.